Catch me DJing this Saturday – 29th of September – at Divino Club in Hove, along with a top DJ line-up that includes LIZZIE CURIOUS, JOE BONNER, MARK SMEDLEY, WILSON KNICKIT and JENI HIPKISS. It’s a BAD DOG club party in collaboration with my label JEEPERS! MUSIC. The line-up features three Jeepers! artists and we will definitely be playing some up-coming and recent releases on the label. Alongside the Bad Dog residents – Lizzie Curious and myself – we are delighted to welcome special guests JOE BONNER and MARK SMEDLEY (AKA Kilmer). Joe & Mark run the well-established London party Shuffle, and their uplifting tech house grooves see them spin at the likes of Ministry of Sound, DJ Mag and Clockwork Orange, alongside a popular weekly show on London’s Select Radio. Dab-hands in the studio too, their powerful productions can be heard on Jeepers! Music, Digital Muzieek, Wired Hands and many more! Completing the line-up we have a welcome return from Jeepers artist WILSON KNICKIT, alongside our newest DJ JENI HIPKISS. The party kicks off at 10pm and finishes at 3.30am. £5 on the door / £3 before 11.15pm. 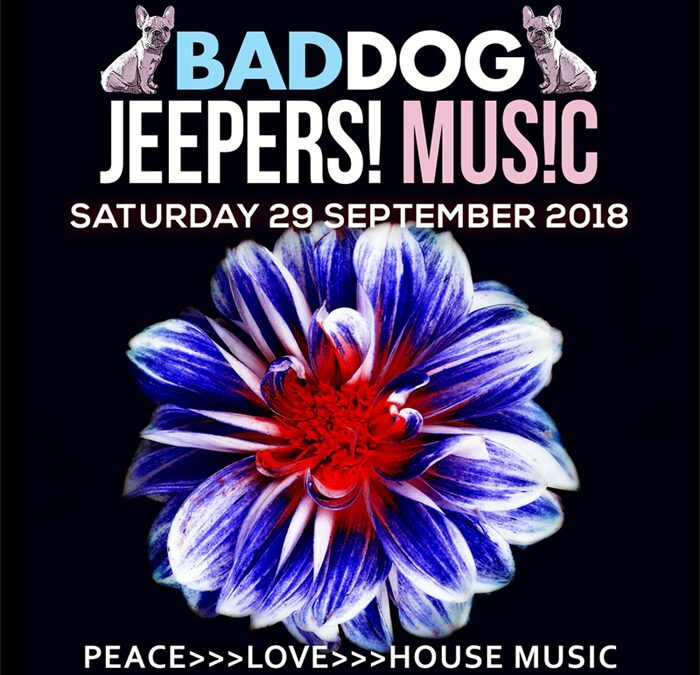 Bad Dog is a party for house music aficionados…. If you like your club nights uplifting, friendly and full of energy, where the DJs have as much fun as the clubbers, then come and get your groove on with us. Divino Club, 63 Church Road, Hove BN3 2BD.